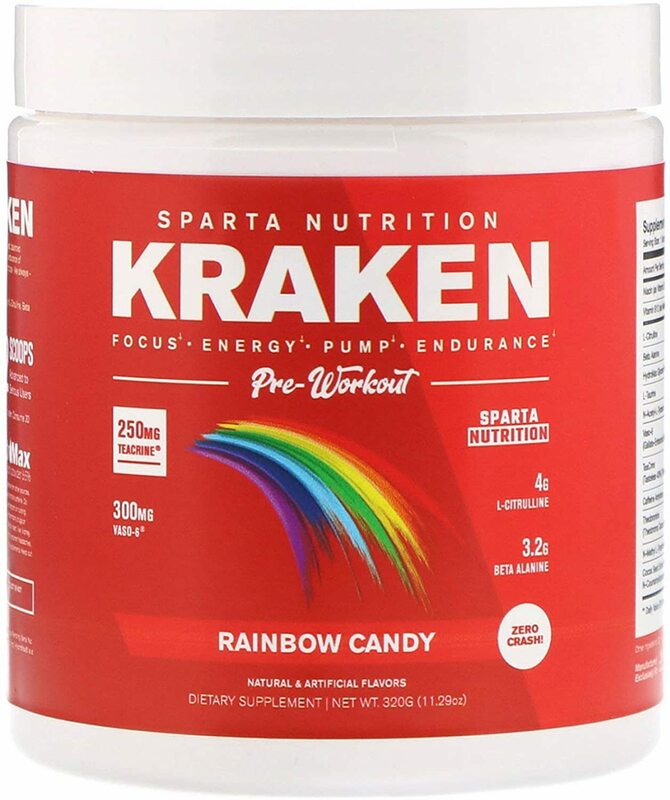 Aug 28, 2018 Sparta Nutrition Kraken BLACK: A Beta-2 Attack Stack! Sparta Nutrition Kraken Black - Extreme Stimulant Pre-Workout! WHAT MAKES KRAKEN BLACK DIFFERENT FROM OTHER PRE-WORKOUTS? We know your time is valuable and that every second you spend training needs to be utilized for maximum results. Sparta Nutrition created Kraken Black to deliver an unmatched energy source and the world’s most intense - but balanced - pre-workout experience. With a revolutionary stimulant system that provides a full range of ingredients to fuel your workout and give you “next-level” results, Kraken Black will push you to new heights in your training that you didn't know were even possible. But beware –– Kraken Black is not for beginners. It delivers a potent energy complex alongside many of the original Kraken ingredients to give you the best workout of your life... if you're ready for it. You don’t settle for less than the best in your training, so why settle for less from your pre-workout? So as you can see, this isn't just about energy - there are some serious pumps and endurance here too! Don’t compromise and spend hard-earned dollars on bogus or proprietary products. Kraken Black gives you research-backed ingredient doses to help you achieve your best. But don’t take our word for it -- let the science speak for itself. Kraken Black utilizes compounds that are shown to work time and time again, and at the right amounts to boot. L-Citrulline helps provide the body generate more nitric oxide. Nitric oxide works as a vasodilator, so your blood can flow more voluminously. This more nutrient delivery, but more importantly, added pumps, helping Kraken Black fulfill the product’s promise of “intense pumps”. Citrulline also enhances your ability to recover from workouts and even during sessions themselves. Beta-Alanine improves muscular enduranceand prevents fatigue. It really shines in the 1-4 minute exercises, helping your body produce more carnosine, which then assists in flushing nasty acids out. The enhanced endurance allows you to target more volume, which could result in additional gains. With the clinical dose of 3.2 grams, Kraken Black has your bases covered. HydroMax is a cell-volumizing, hydration-boosting, glycerol-based ingredient. Compared to glycerol monostearate (GMS), which only offers around 25% glycerol by mass (at best), HydroMax contains 65% glycerol, giving you significantly more per serving. Glycerol saturates your muscles with water by encouraging them to soak up additional water. This has the two-fold effect of increasing hydration (leading to better endurance) as well as driving your pumps further. It also reduces fatigue. Caffeine and pre-workouts are inseparable, barring the stim-free products on the market (Kraken Pump has you covered there). 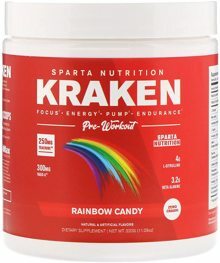 Kraken Black delivers a higher amount of the legendary stimulant -- 350mg in two scoops -- to make sure you are getting the stimulants than you actually need. Caffeine is one of the most proven ingredients for any pre-workout supplement, and depending on your size and metabolism, this does is near significant strength increases too! B-Phenylethylamine HCL, also known as Beta-PEA, is one of the single greatest “feel-good” ingredients out there. PEA causes a potent, release of catecholamines (dopamine, adrenaline, and noradrenaline), which induce a slight state of euphoria. To train at your max, you need to feel your best. Kraken Black will help you leave stress and the rest of your problems at the door, so you can take care of business inside. Higenamine is another fantastic "bonus stimulant" that frees up fatty acids to be used as an energy source during training. It's able to do this because it is what's known as a beta-2 adrenergic agonist. Beta-2’s also make breathing easy with some of its vasodilation effects, which will make you train longer and harder. Who says you need to remove the pumps to get the added energy? Kraken Black has both! These highlights prove that we created Kraken Black to upgrade what you thought was possible from a pre-workout product. You wouldn’t expect to go to a restaurant and pay for something you don’t enjoy. Why take the chance with your supplements? To be the best version of yourself, you need to train like it. You train intense, it's time to use a pre-workout that suits your abilities. Kraken Black was designed to push you to your absolute limits and give you an extra energy boost compared to the original Kraken –– don’t settle for anything less than the best. With “feel-good” ingredients to give you a synergistic combination of high-energy benefits and nootropic-like qualities, Kraken Black is ready for you... if you're ready for it. Reach for new heights every time you step into the gym or into your sports arena. Choose the best. Choose Kraken Black, and don't look back!